Be ready for growth with an all-in-one business management solution that helps companies connect their financials, sales, service, and operations to streamline business processes, improve customer interactions and make better decisions. 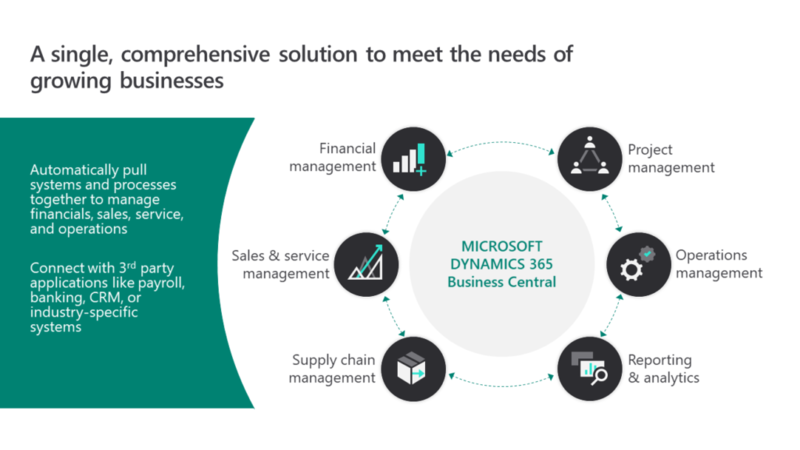 Dynamics 365 Business Central automatically pulls your systems and processes together so your people don’t have to. You’ll have a more complete picture across your business, with reports when and where you need them. Handle the most common business processes from day one, so you’re up and running quickly. With Dynamics 365 Business Central, change doesn’t get in the way of your day-to-day. Microsoft Dynamics 365 brings together business applications, data, documents, and devices—with one unified user experience that provides greater control over your finances and operations, while delivering the insight you need to build and maintain customer relationships. Bring people, processes, and data together to manage your business end to end. Sept 2016: Techminds Group Llc has been named one of the NJ Fastest 50 Growing Companies - 2016 ! Aug 2017 – Techminds Group made it to the final list of Inc # 5000 for the year 2017 ranked at 960. March 2019 - Our Chennai Delivery Center has now been renamed to "Techminds Group India Pvt Ltd"
Copyright © 2018, TechMinds Group LLC, All rights reserved.